The next edition of the Hands On! Conference will be held in Frankfurt, Germany, 22-26 October 2019. To create an extraordinary conference program, the organizational team wants your ideas and inputs. Speak, lead a world café table, or present your project and inspire your colleagues from all over the world. In late October of this year, the China Science and Technology Museum Beijing and CIMUSET are offering the “Developing Relevant and Inspiring Science Exhibitions: From Idea to Opening Day” Training. It is a great opportunity to learn from international experts and exchange with colleagues from around the world. NAMES is please to share the Science Center World Summit (SCWS) 2017 Report prepared by the Host, the National Museum of Emerging Science and Innovation - Miraikan. The Summit took place in Tokyo, 15-17 November 2017. 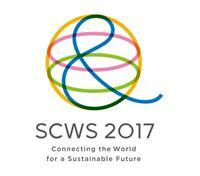 The brief report touches on the structure, contents, statistics, and outputs of the SCWS 2017 in a simple and accessible way. The Evonik Fellowships are supporting the participation in the Science Centre World Summit 2017 (SCWS2017), which was held at the National Museum of Emerging Science and Innovation (Miraikan) in Tokyo, Japan, on 15-17 November 2017; by offering 5 grants to individuals interested in digital innovation in educational surroundings, chemistry oriented educational initiatives, and/or who bridge the gap between education and the business world. International Sustainability in Science Museums Fellowship! The United Nations Educational, Scientific and Cultural Organization (UNESCO) has announced the opening of the call for nominations for the 2017 UNESCO Kalinga Prize for the Popularization of Science. The Science Centre World Summit 2017 (SCWS2017) announces the opening of the Registration/Marketplace/Sponsorship pages on the Summit’s Website! The SCWS2017 will be held in Tokyo, Japan, on 15-17 November 2017, at The National Museum of Emerging Science and Innovation (Miraikan). 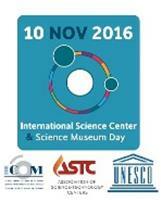 On 10 November 2016, and upon UNESCO’s theme of “Science for Peace and Development”, Science Centers and Science Museums around the world celebrated the first International Science Center and Science Museum Day (ISCSMD). Science centers and science museums offered activities based on one or more of the 17 Sustainable Development Goals (SDGs) declared by the United Nations (UN). ISCSMD aims to demonstrate the engagement and impact of the science center and science museum field and to present them at the Science Center World Summit in Tokyo in November 2017. One week left to apply for the course: "Developing Successful Exhibitions"
Best practices for interactive exhibitions with hands on exhibits, multimedia, video installations and other new technologies and approaches.